Enjoy the Scenic View While Floating in the Steamy Pool. Soak your cares away in the geothermal pool of this beautiful mountain retreat! This large, upscale home boasts room for everyone.with 5 bedroom (2 master bedrooms) and 3.5 baths. When you enter on the ground floor your first sight will be the majestic log-railed staircase. There are 3 bedrooms on the main floor - the carousel room has a queen bed, the family suite has 2 queen beds and a crib for the little one and the rustic room also has a queen bed. There is a shared full bath on the ground level, but not just any bath - the grotto bath is tiled in river rock with double shower heads and a cathedral ceiling and natural skylight. Also on the ground level is a small sitting area with TV and a sleeper sofa. Head up the circular staircase to the upper level and you are met with the large open custom kitchen and dining area with plenty of windows to view the majestic mountains and the steam rising from the pool in winter. Also on the upper level are two separate living areas - one surrounded by the beautiful views, the other a great place for family to gather and watch movies or enjoy the satellite TV. The upper level has two master suites, both with queen beds. But wait, there's more - plenty of good memories and good times are available in the outdoor heated gazebo room with a ping pong table and a large counter space for playing games. During the summer, enjoy evenings around the outdoor fire pit or enjoy the mountain views on the large deck adjacent to the main living area. Centrally located there is easy access to all the amenities of Garden Valley. Karen, thank you for everything! You work hard to make this a memory we will always remember! Karen was excellent to work with! We had such an amazing stay! It was a perfect place for a weekend getaway! Cant wait to stay again! Karen, at Idaho Vacation Cabins, was FANTASTIC! Wonderful customer service. Will definitely book directly thru her again in the future! I believe we mistakenly left a woman's curling iron in the downstairs bathroom. Karen is so helpful! Always ready and willing to find us exactly what we need! It was absolutely fantastic! We will be back! Karen gave me a call before the day of our stay and that was really encouraging and helpful. We really enjoyed the atmosphere that the cabins have. It's quiet and relaxing. And at the same time we had a great amount of space to do a lot of activities. The folks at Idaho Vacation Rentals were very cordial and prompt. Team is friendly and helpful. Loved this property. 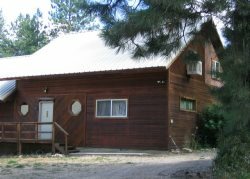 This is our 5th different property stay at Idaho Vacation Cabins, and by far our favorite.